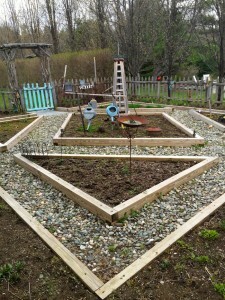 Just a few warm spring days are enough to make me dream of spending hours in the yard this summer. This is a great time to think about some of the landscape projects you might want to do this coming season. 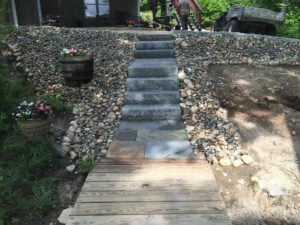 If you’re anything like me you have a list as long as your arm of things you would like to improve or add to your landscape. The hardest part is deciding where to begin. 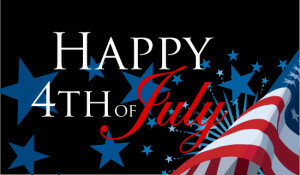 Now is the time to think about your outdoor space and how you use it. Identify areas that get a lot of use and those that do not. Evaluate the environmental conditions of different areas, particularly sun exposure. What do you value the most about your property – the waterfront? a commanding view? the stream that runs through the back? These are all important things to consider as you decide on your landscape improvement plan. 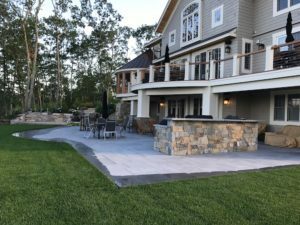 Hardscapes such as stonewalls and patios can make dramatic changes to your landscape and provide areas for family and friends to relax and enjoy your outdoor space. 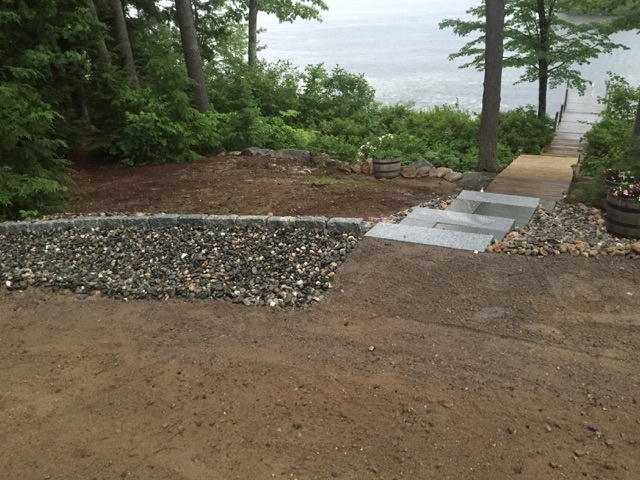 Smaller projects like a simple walkway or a fire pit add function and enjoyment as well. Landscape plantings are a great way to enhance elements that already exist in your yard. Plants can soften and define a stonewall or walkway. You should consider a few decorative touches once you decide on your project. New patio furniture, a lovely collection of planted containers, a small fountain and perhaps some landscape lighting to add your own personal touch. With some thoughtful planning ahead, you can really improve the function and appeal of your outdoor environment. We all know first impressions are huge and your landscaping is an extremely important piece of the curb appeal you want your home to have if you are thinking of selling. 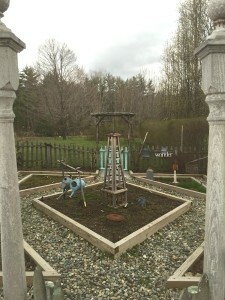 A properly planned landscape can help your home stand out from others on the market and can also give you a decent return on your investment. Raises the property value as much as 12%. Increases your resale value 14%. 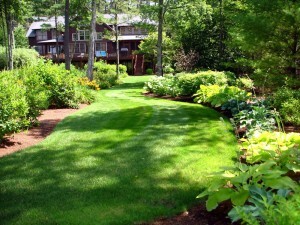 Spending as little as 5% of your home’s value on landscaping may get an ROI (return on investment) of as much as 150%. Decreases the amount of time your home is on the market – sometimes by as much as six weeks. 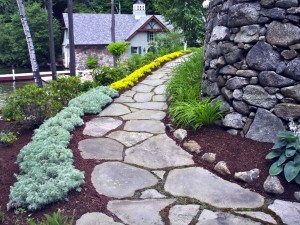 Great landscaping is a smart investment. 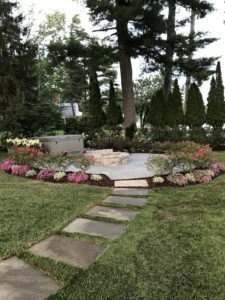 Of course we would tell you that landscaping is a good investment, but we believe a well designed outdoor space offers enjoyment for your family and a solid monetary return as well. 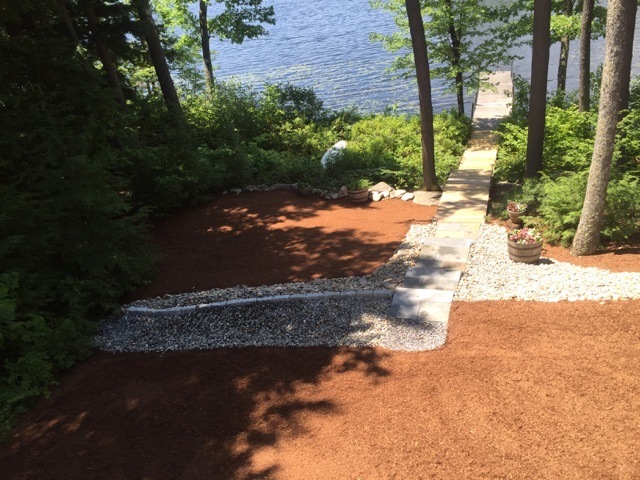 Winter is a great time to daydream about your home here in the Lakes Region and come up with a list of things you would like to change or add to your landscape environment. Hiring an experienced team of professionals to help you plan, install and maintain your Lakes Region landscape is definitely a worthwhile investment.